We have our favorite apps. We have method books. We have administrative and business tools. Our job is a lot easier because of tools. Tools help us leverage our time and our resources. But, they’re only good if we know about them AND use them! There is a toolset to which we all have access. It’s far more powerful than any app or game or organization tool. It lies inside every human, but for most… it never gets used. This toolset is our own ability to persuade and convince other humans! Persuasion is the ability to tap into “reflexes” that are hardwired into the human brain. These REFLEXES are automatic for all people. They work whether or not people know about them. What would happen if a teacher learned to use these psychological shortcuts? If there is a list of skills that a studio owner needs to be successful, the skill to persuade must be pretty near the top. 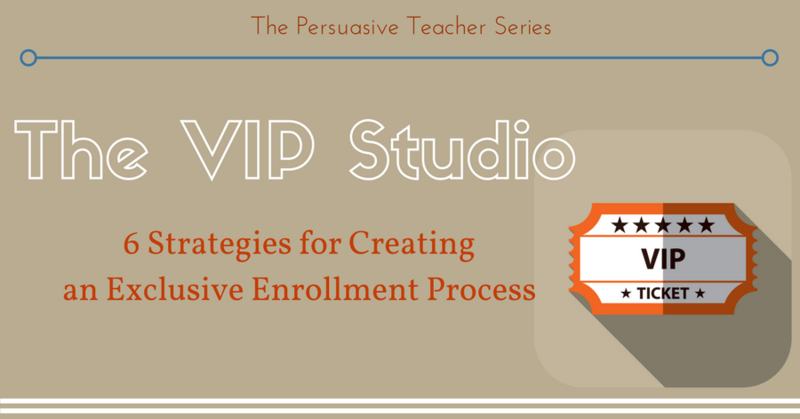 This is the 3rd installment of the persuasive teacher series. In past installments, I have discussed using social proof and generosity to increase enrollment and studio income. There is a fear built into every human missing out on something. This might sound like a negative thing… it is not! It is a mental mechanism that protects each human, and ensures our survival. In times past, this is what drove us to plant in the spring and harvest in the fall. There was an inborn understanding that we MUST make provision for the future. In modern times, this is the mental mechanism that drives the >Dave Ramsey- style “emergency fund” It is what prompts us to save for retirement. If left unchecked, this mental reflex can cause anxiety and worry over the future and money. There is also a competitive component to this mental reflex. If we believe that others might get something we won’t, it makes us want it more. Picture two children who are content and playing by themselves in the same room. Come into that room and place an object in the middle of that room… it could be a toy, a wooden spoon, or even an empty Amazon box. If either child takes an INTEREST in that object… you can be certain that there will be a fight over that object. Things can get ugly fast. The drive to compete for scarce resources is a powerful mental reflex built into every human. Are You Still Letting Just Anyone Join Your Studio? So, how can we leverage the power of scarcity in our studios? How can we use it to help parents sign up for our program? The simple answer is that you need to make yourself the prize. You need to promote an air of exclusivity in your marketing materials (website, ads, emails). I’m not talking about being an obnoxious self-promoting braggart. I’m saying to ACTUALLY become more exclusive and unavailable, and then change the way you talk to reflect that. Make bold claims. Support your claims with facts. Then, give parents the opportunity to make a decision! First of all, raising rates in your music studio actually makes you scarcer. As your price increases, the psychological assumption is that what you have to offer must be better than the alternatives. If you are the MOST expensive option and everyone knows it, the effect is even more pronounced. If you are a small studio and you want to cap your hours, you should emphasize that you only work with a select number of students each school year. In contrast, if you are a large studio that takes anyone that walks through the doors, you can emphasize the “number of spots” that you have left. Your large size is actually a form of social proof. The fact that you only have “1 spot left at on Monday evenings” means that you can be large AND scarce at the same time. This is a continuation of #2. Don’t be too “available” during the enrollment process. Emphasize to parents that your schedule is busy. Don’t answer your phone on the first ring. Don’t answer emails minutes after you get a contact from a prospect. These are subtle habits, but desperation and need come through in a hundred small ways. I subtly remind current families that I’m busy and enrollment is full. This is powerful persuasion that uses social proof, generosity, scarcity, and authority. That’s 4 out of 6 of Cialdini’s mental reflexes! As with other forms of persuasion, it’s all in how you word the message to families. Be clever. Get creative. When you invite people in for an introductory lesson, tell people that your studio is invite only. In other words, don’t just offer a “free trial lesson”… make sure parents understand that they are coming in so you can evaluate them. This subtly changes the entire dynamic of the introductory lesson. After I’ve worked with the child, I remind parents that I’m looking for a certain type of student and I pronounce judgment on the student. OK, maybe it’s not that dramatic… but the parents often express relief that they are accepted. And, this is not just a cheap trick… I have a script that I use for turning parents down at the introductory lesson. That is far beyond the scope of this post; I’ll write about this in a future article. Create two programs in your studio. But, also have an “elite” program. Make this more rigorous. Make parents sign a practice pledge on behalf of the student. Put all sorts of crazy requirements on it. Make promises about the kinds of results a student will get. Make the price outrageous. Only allow a few students per year into it. The scarcity will drive up demand amongst parents who want a more intense experience for their child. Yes, an elite program is harder to market. But, for those who do offer a program like that, the scarcity can be profitable and raise your profile as a teacher. And, even if no one signs up for it… the very fact that you offer it is valuable in and of itself! Again, it raises your profile as a teacher. It frames the entire experience of the new parent who is enrolling at your studio. This is a logical extension of previous ideas, but worth spelling out. If you plan to run summer camps or other special programs in your studio, make sure that you build scarcity into the process. Then, make sure you communicate the scarcity to families! In my studio, I can only take so many campers each summer. I can only handle so many students in my Royal Conservatory preparation. I emphasize this. I build up the camps or the RCM program months in advance, and continually tell people that I will only be accepting enrollments in May, etc. Then, when it comes time to enroll… I’ll get a flood of requests and enrollments. Even this summer, I had to tell a half-dozen families that they couldn’t join the summer camp program. I ran out of room. This is almost guarantees that I will sell out my next camp. I cast a very wide net in my advertising. As people investigate me, they experience GREAT marketing. But, as they get closer to saying YES, I make it more difficult to join. This includes the cost to join my studio, the program requirements, and even AFTER they join… the student experiences a challenge unlike anything they experience in school. I place a lot of pressure on students (yes, even 5 and 6 year olds) to be self-directed, independent learners. Some children rise to this challenge and THRIVE in my studio. Others don’t want to put forth the effort… and they fizzle out. So, the rigor of your program is a form of scarcity, as well. The higher your educational standards, the fewer students can handle it and will stick around. Outcomes You Can Count On! What are the results of leveraging this psychological tool in your studio? What happens when you set up a little obstacle course for parents that they have to navigate? What happens when parents decide to play this little game? Quality of student. Over the years, I’ve seen the quality of my students go up. The parents who flock to my studio are a real pleasure. Yes, this does decrease my retention… but that is not a bad thing! Every studio is going to experience attrition… but this is the right kind of attrition. I make it tough for students and families to join. And, I do have families that quit after only a month or two… but, they typically weren’t a good fit (didn’t want to abide by policies, didn’t want to do the work, didn’t want to support their student at home). Respect from parents. Scarcity has been built into my entire enrollment process for my studio. This process is predictable and repeatable. Having a pre-planned “psychological journey” for new families will certainly result in more enrollments and impressed customers for you, as well! Discovering you and learning more about your studio should be a fun, rewarding experience… like unwrapping a gift. Their excitement should grow as they move from discovery, to first contact, to meeting you. I do this by focusing on the words that I use to describe my lesson program on my studio website. Furthermore, as I release more information to them by email or phone, I can get the sense that parents are impressed with what I’m doing. By the time they finish the introductory lesson, parents are jumping at the chance to sign up. When you are confident and assertive – and have the program and marketing to back it up – parents respond with respect and excitement! Am I special? Absolutely not. I have carefully chosen the words I use to describe my program! My marketing is designed to press all the right buttons. I want parents to hear exactly what they want to hear. I’ve communicated the value of what I do. Therefore, parents start off with a sense that they are getting exactly what they want. They’re happy to buy the product. I pulled these four quotes from the communications I had with families that enrolled in my studio this year. I can tell that parents appreciate being here when I receive emails with messages like this. If you get that sense… then you are doing something right. If you haven’t experienced that yet, it’s time to go to work. Greater responsibility taken by your customers. When families leave my studio, they often apologize for their lack of commitment. I have clearly communicated the results that students can get. I have communicated how busy I am. I have communicated the various ways that I go above and beyond the normal studio. It is the sense of “exclusivity” and how my studio is a special “invite only” club. This causes parents to value my studio more. Again, my weekly enrollment caps at 100… this isn’t exactly a small studio. Yet, this exclusivity / scarcity does come through. It can come through no matter what size your studio is, through all the tactics mentioned above. As you can see, this is more than just a few “quick tips” to get you new students! This is a pattern of thought and speech that will distinguish you and your studio. To be peerless, you must choose the harder road. The key to scarcity is to actually be scarce! Customers are smart. They will see through claims that you are “the most in-demand studio in the city” if you aren’t actually the most in-demand studio in the city. This only “works” when it comes from a place of authenticity. How will this help with the scarcity persuasion strategy? Flood your studio with enough lesson requests to max you out… and then keep buying ads. Keep raising standards in your studio. Raise your rates. Demand more of your students. Serve your families in powerful ways. Increase the quality of your program. Word of mouth will make you seem like a legend. This will start a stampede to your studio. Have questions? Have you used scarcity to raise demand for your studio? Are you just excited about what you’ve read!?!? We won’t know if you don’t tell us. Take a moment to reach out in the comments. Looking forward to your future article where you share the script you use for turning parents down! I find this really hard because I want to be sensitive to their feelings about their child, and kind, but sometimes it’s just not the right fit! Do you have scripts for what to say to parents when they come in for an “interview” or over the phone to inquire about music lessons? Or over email? Also, do you have scripts for what to say to parents when having to turn them down? (I look forward to being at that point someday…). Amy- Indeed, I do. I find it really important to “systematize” the experience from person to person. It has made me incredibly consistent. I have it all down to a science. There’s a lot that goes into doing such a thing. I’ve spent a long time studying persuasion and marketing… understanding what messages work and what doesn’t. Understanding how to tap into what parents deeply want for their children. And then using my judgment to seeing if what they want matches up with what I have to offer. Where can I find the scripts that “systematize” the experience? You can find those in the download that accompanies the post, the BONUS that’s mentioned. Do you charge prospective students ‘When you invite people in for an introductory lesson’ ? If so, do you charge them full-price of a lesson? Do you shorten the time they’re there for the ‘introductory lesson’? I don’t worry so much about small details like this. The “cost” of an intro lesson in time is $20-$30 for most teachers. Let’s take this out of the realm of piano… if you could spend $20-$30 for a 90%-100% chance that you would make $1,000-$10,000 dollars… would you do it? I would hope so! Especially if you could spend that $20-$30 once, twice, or even more times per month. I have NEVER understood the “controversy” over whether or not to do an introductory lesson. In any other industry, it is a NO brainer to give away a small portion of product or a demonstration on the front end to guarantee a large purchase… everywhere from the Tesla “test drive” to an iPhone to a drink sampler at an upscale restaurant. I think many teachers are hung up on “giving away their expertise for free”. It’s just not an issue in my mind. So, to finally answer the question… no, I don’t charge. And, I will spend as much time as necessary with the student / parent (usually doesn’t last longer than 30-35 minutes combined. Excuse me if this is ignorant – when you offer a free lesson does this not communicate too much availability rather then scarcity? 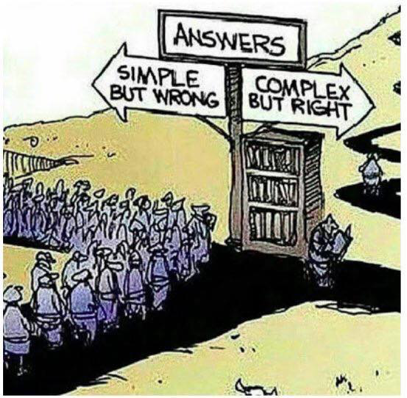 You have to pull at both ends. I make sure people understand that I’m screening out people that I don’t want to work with. I don’t say it that harshly. But, that is the impression I get. Out of context, it might seem like a “bargain basement” move. But, it’s only one piece of a much larger plan. And, within that marketing message, I’ve made the free lesson work for me. Thank you Daniel for your marketing ideas, They say you do not know what it is like to run a Music School until you actually do it. We offer free classe however i never let a student come in and take a class . I make them come back the next day stating that we are at full capacity . This will weed out customers that are serious or just looking for a free lesson. If you have the kind of demand to make a request like that… good for you! I like this idea. I’m really liking your blogs. Thank you! I’m saving marking them so I can find them quickly. Great ideas. By the way, you have a killer web site. Good work. Looks like you are running on Divi, which is a great theme to use. I love your articles. Very, very helpful. I have a question: how do we get noticed on google? My competitor comes up ahead of me for most of the keyword phrases but they are in another city. How can I rank higher in searches to get more inquiries per month? Does which website host play on SEO? Keywords on website, meta tags, that sort of thing? Don’t worry about ranking with SEO. Just buy your way to the top with AdWords. I love the psychology of persuasion – it is HUGE! Thank you for making it so applicable to piano studios. Thank you Daniel, such great info backed by experience. My fave from this blog “the key to scarcity is to actually be scarce!” So: Market, fill every spot, market some more, raise rates, repeat. Golden. This is really great. Every once in a while I have people (who don’t do this job…) tell me that if I want to grow my studio I should take every student who contacts me. Changing the way you accept students really does make a difference in the quality of students you get. I hope you write a post soon on what you tell parents when turning them down at an introductory lesson, I’m looking forward to reading that. I’ll make a note of that! Thank you for this post! Every word is gold! As always, thank you for the great points, Daniel. It is a great idea to announce to parents about 2 programs. Make this a privilege, and not drive myself up the wall to a get a nice result from the lazy. It could be they’re lazy… or it could just be that they only want a casual experience of music. Whatever it is… offering what the customer wants is how you grow a big, profitable business! Or (in other words)… if you can’t beat’em… join’em! This is Great! Thank you for sharing!!! Thanks for reading! Each comment is special to me!